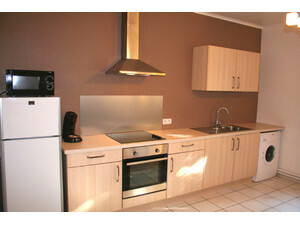 A spacious and luxury Business Flat in downtown Leuven. Located in a quiet pedestrian street offering all the comfort you need. This one bedroom apartment has a contemporary, light and airy feel. With space to live and a study area to work. temporary housing for an extended stay. Special long term pricing on demand.